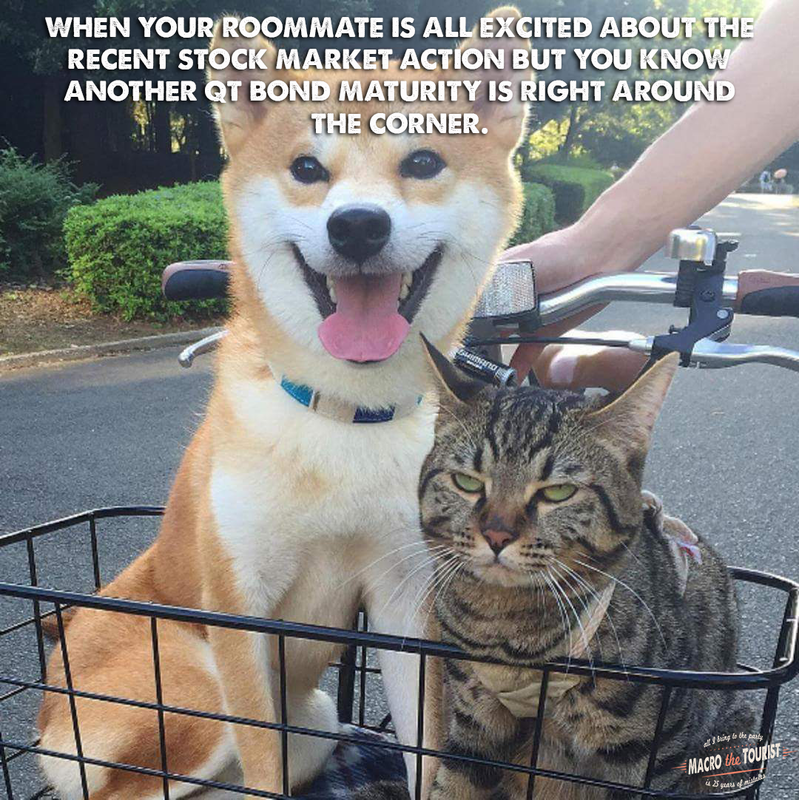 It’s that time again. At the end of this month, the Federal Reserve has over $30 billion of notes maturing. I won’t rehash what this might mean for the market, rather for those not familiar, I ask you to go read Pink Tickets On QT Days. 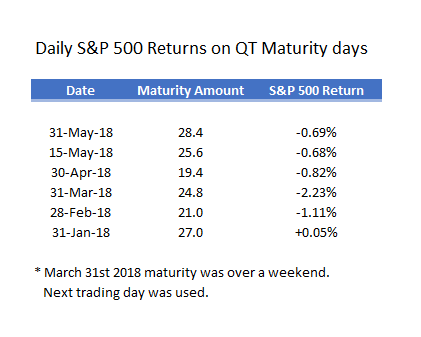 Another large QT maturity day, and another down day in spooz. The streak is alive and well. 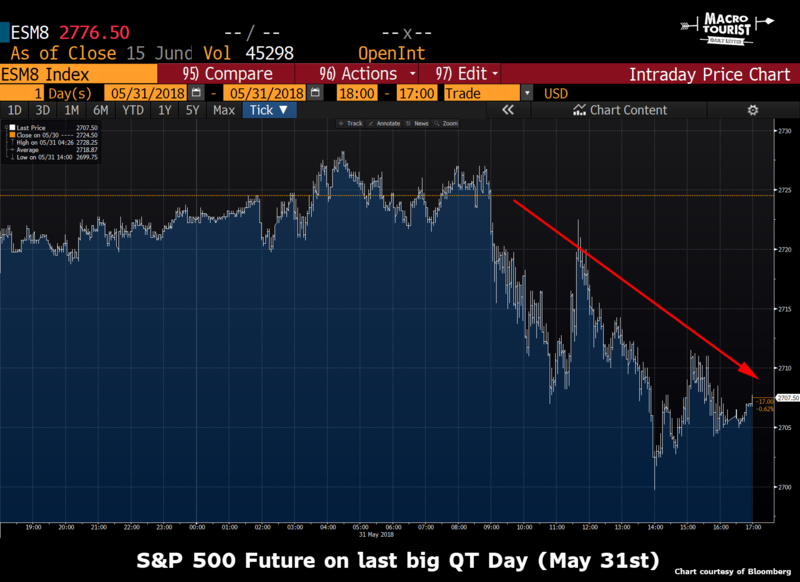 QT days have been rather large down days for the S&P 500. And this month’s maturity is another big one – over $30 billion. 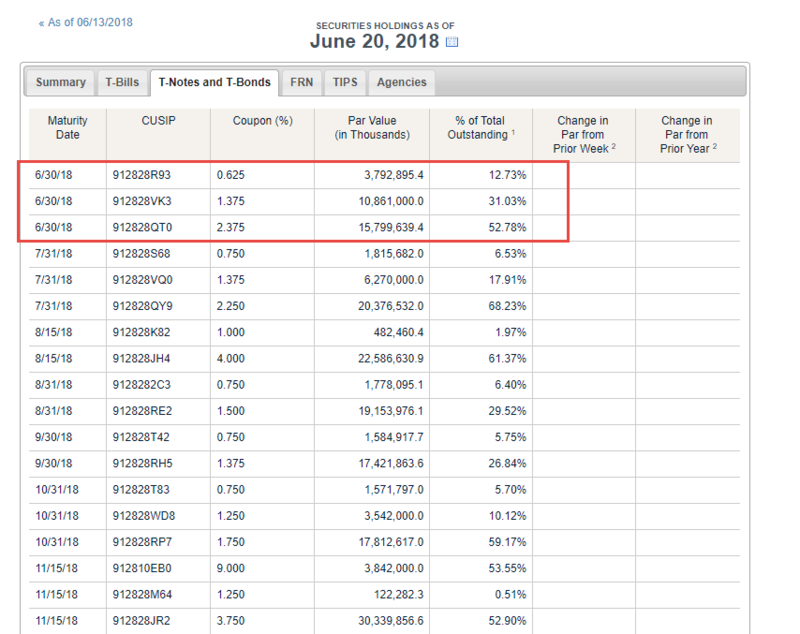 I was surprised to find that government bonds can mature on a weekend. I don’t trade a lot of cash US treasuries and didn’t realize they can mature on a non-business day. This means that this month’s QT maturity day effect will occur on Monday – not Friday’s month end. So mark it in your calendars – Monday July 2nd spooz should trade heavy if this QT theory holds true.